Shapes Thick round tubers that may grow as large as chicken eggs tuber 4-5 cm long. Arrowhead also known as duck-potato, broadleaf arrowhead, Indian potato, or wapato is widely grown aquatic perennial plant. Arrowhead scientifically known as Sagittaria latifolia belongs to genus Sagittaria L. of the Alismataceae family. 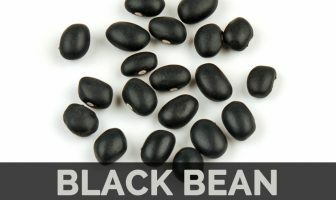 It is considered to have originated from southern Canada. Apart from that it is known as Kewi in Arabia, Kuwai in Japan, Pilblad in Sweden, Kunai in china and Brutblatt in German. Arrowhead includes thicker round white or bluish tubers that is full of essential nutrients, vitamins and minerals. Arrowhead is a vigorous, deciduous, marginal aquatic perennial plant sized 2 to 20 meters in length found growing in full or partial sun, shallow water up to 1′ deep or wet conditions. It normally prefers wet, fertile soil that contains few organic matters. Root system includes a tuft of coarse fibrous roots and long spreading stolons. No true stem are found since leaves are arranged in rosettes. Flower stem has spongy quality. Leaves are usually 8 inches wide and more than a foot long, Spongy and solid, have parallel venation, upper leaf surface is pale green, medium green, or yellowish green, while the lower leaf surface is pale green or yellowish green. Flowers have showy, white petals (1-2 cm) and are arranged in a whorled raceme. Three round white petals and three very short curved, dark green sepals. Male flowers are simply distinguished from female due to the difference between the 25 to 50 yellow stamens of the male as well as the sphere of green carpels of the female ones. Arrowhead flowers are found blooming from July to September. Fruits of Arrowhead are Globoid to sub-globoid (globoid, but somewhat flattened) in shape, consisting of a dense cluster of achenes that are 0.5 -1.5 cm long. It is usually green in color that changes to dark brown as soon as they mature. Roots are usually white and thin, creating white tubers covered along with a purplish skin at a good distance (0.3 to 1 m long, 0.15 to 0.6 meter deep) away from the mother plant. Roots are thick round bluish or white or tubers that grow as large as chicken eggs which are 4-5 cm long. It has taste which is similar to potatoes and chestnuts. Roots have long been a significant food source to ethnic peoples of the Americas. Tubers are separate from the ground by several methods:by feet, a pitchfork, or even a stick, and generally then float on the surface. Ripe tubers are easily collected during fall and are frequently found floating very freely. Arrowhead is native to southern Canada and most of the touching United States, as well as Mexico, Ecuador, Cuba, Venezuela, Colombia and Central America. It is also adapted in Bhutan, Hawaii, Australia Puerto Rico and much of Europe (Spain, the Czech Republic, France, Italy, Switzerland, Romania, Germany, and European Russia. Later it was spread throughout the world which have suitable environment for Arrowhead. Apart from its taste which is similar to potatoes and chestnuts arrowhead is a good source of important nutrients, minerals and vitamins. Consuming 100 gram of Arrowroot consists of 197 mg of phosphorus, 881 mg of Potassium, 0.206 mg of Vitamin B6, 1.21 mg of Iron, 0.135 mg of Copper, 16.14 g of carbohydrate, 0.285 mg of Manganese, 0.144 mg of Vitamin B1 and 49 mg of Magnesium. Calories 78 Kcal. Calories from Fat 0.9 Kcal. Tubers can be dried and ground into a powder, this powder can be used as gruel or combined with cereal flours and used to make bread. American Indians slice the boiled roots into thin sections and then string them on ropes to dry in much the same way as apples. Root raw or cooked, excellent when roasted, the texture is slightly like potatoes with a taste like sweet chestnuts. Arrowhead tubers were high valued food sources for Ojibwa and other tribes . Poultice of the leaves is used to stop milk production. Tea made from the roots is used as a digestive. Poultice of the roots is used for the treatment of wounds and sores. 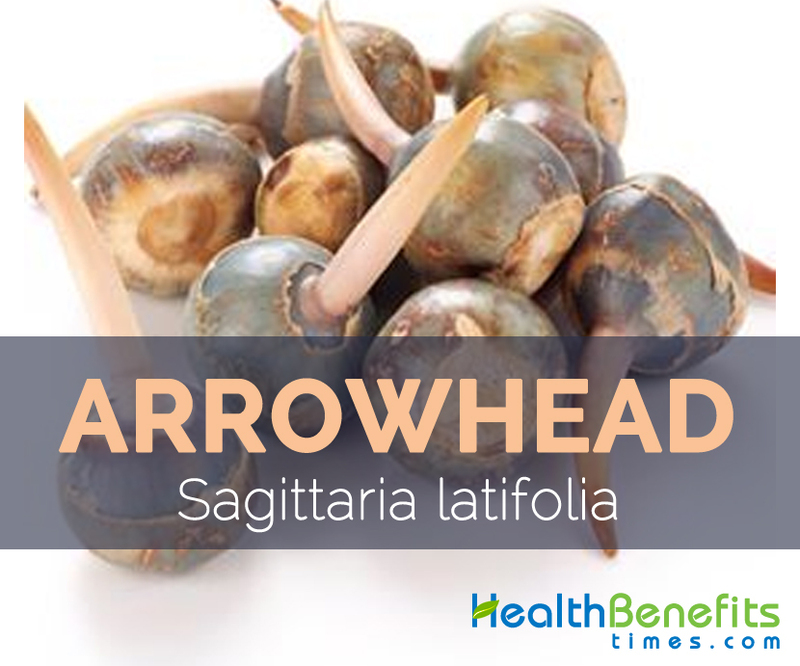 Navajo used the arrowhead plant to treat headaches. Ojibwa consume the corms (tubers) for indigestion. Algonquin of Quebec used the root to treat tuberculosis. Arrowhead is a thick round white or bluish tubers that grow as large as chicken eggs. Its taste is similar to potatoes and chestnuts and is fulfill with important nutrients, mineral and vitamins. Soil Prefers wet, fertile soil containing some organic matter. Root Root system consists of a tuft of coarse fibrous roots and long spreading stolons. Flower Flowers have showy, white petals (1-2 cm) and are arranged in a whorled raceme. Fruit color Changing in color from green to dark brown as they mature. Tuber Shape & Size Thick round tubers that may grow as large as chicken eggs tuber 4-5 cm long.